One of the neat little tricks, i’ve taken on board more and more of late, is the power of Word and/or Excel personal templates. It’s always been a frustration for me to dig around on some obscure shared drive, for the latest version of a specific document or spreadsheet template. That’s why I generally use templates for most of the work I do. Now, one of the problems with this is that I have to "drag" around my template library constantly, so I figured why not just stored them in the Cloud. 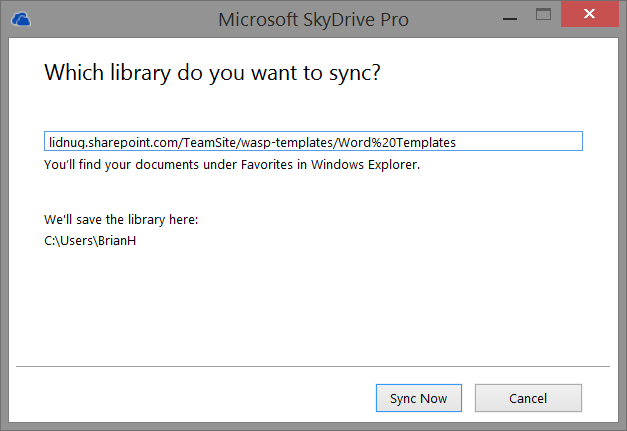 Now, that worked really, really well for documents that i just need to share on the odd occasion – but what if I really wanted to manage and control my templates…could SkyDrive be helpful there in the long run. no..obviously not. 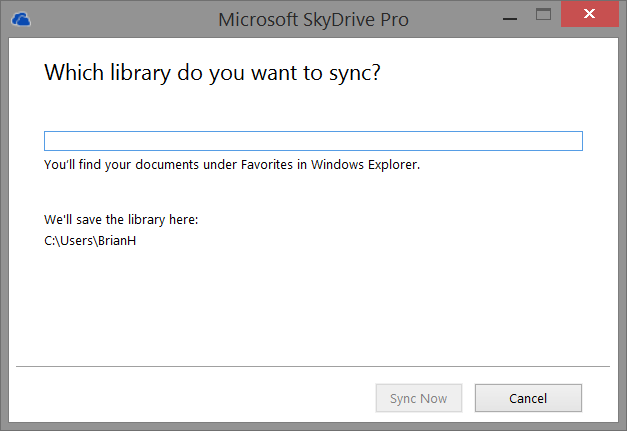 Versioning and such is not available on SkyDrive. Then i looked a bit further and played around with my Office 365 setup – and now we’re talking familiar territory for me – SharePoint without the hassles of setting up a server, on an internal network that I couldn’t even get to all the time. 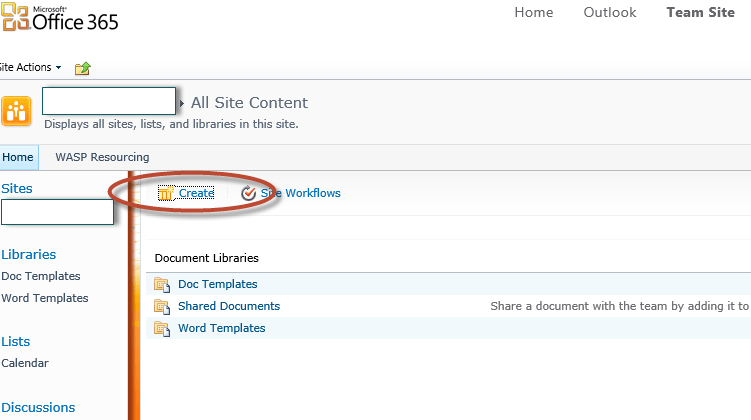 What i needed was for my templates to be stored in a controlled environment, available 24/7, for multiple people. 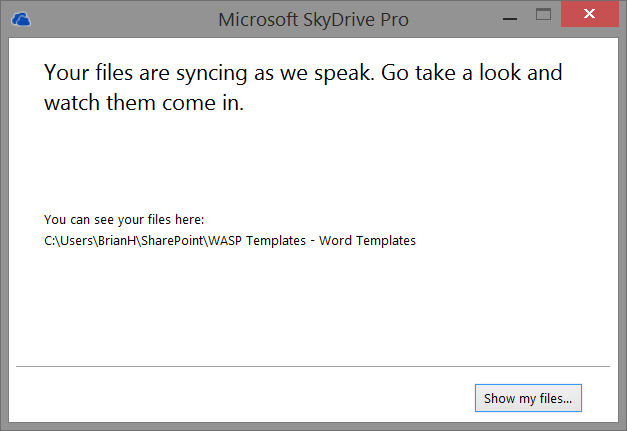 Then we just need the folder path (full url) to the document library and set up a new folder sync via SkyDrive Pro 2013. 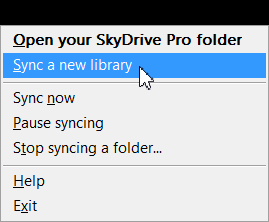 Click on "Show my files" and you’ll see the folder that’s been synchronised to your local folder. 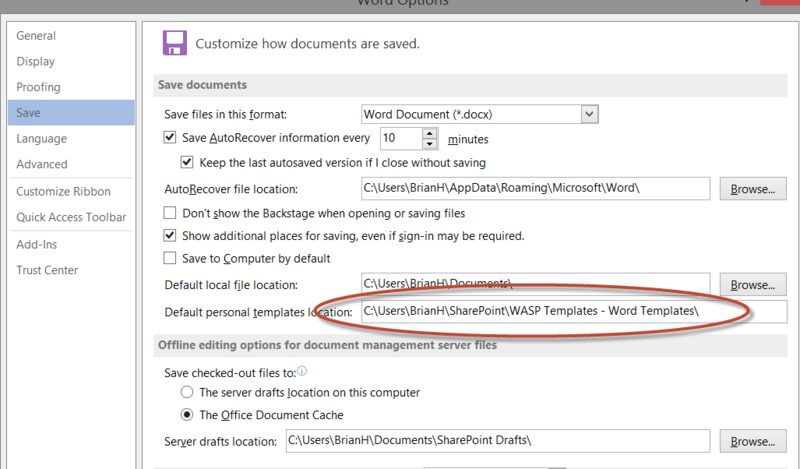 Grap that folder path and open up Word -> Options -> Save and enter the path in to the "Default personal templates location". 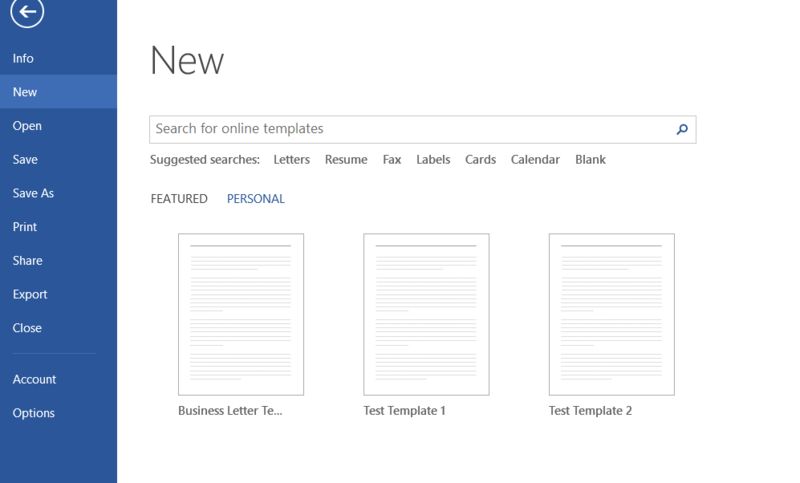 Click ok – restart Word and voila, you now have a "Personal" tab available on the "New" screen where your templates will be listed. This works just as well for PowerPoint, Excel etc etc. 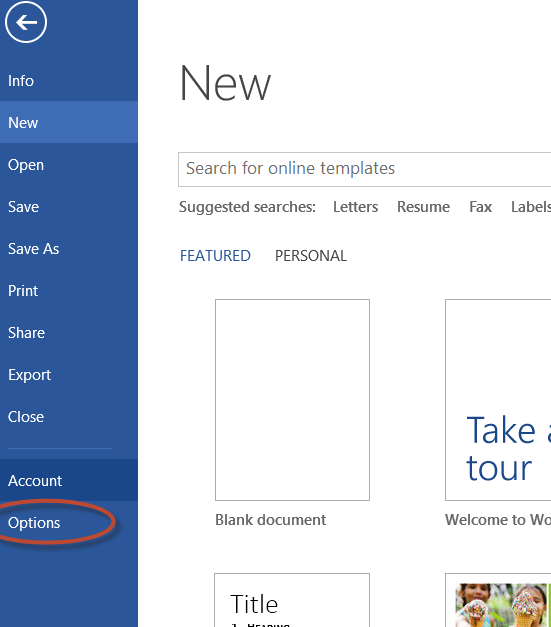 That’s it, easy management of Office templates with Office 365, SkyDrive Pro 2013 and Office 2013.